If you are unhappy with the profile of your nose, or if you need reconstructive treatment to improve breathing, Dr. Stephen P. Hardy performs rhinoplasty at his Missoula, MT, practice. By reshaping the nose, he can improve both functionality and aesthetics. He can create a shape that is more proportionate and balanced with the rest of your facial features, which can boost your confidence and overall satisfaction with your appearance. Often referred to as a nose job, rhinoplasty is the surgical process of reshaping the nose for aesthetic or functional (reconstructive) purposes. Although most people think of rhinoplasty as a strictly cosmetic procedure, it can also improve breathing and correct obstructed airway complications such as a deviated septum. Additionally, as an experienced reconstructive surgeon, Dr. Hardy can perform reconstructive rhinoplasty following a traumatic injury. 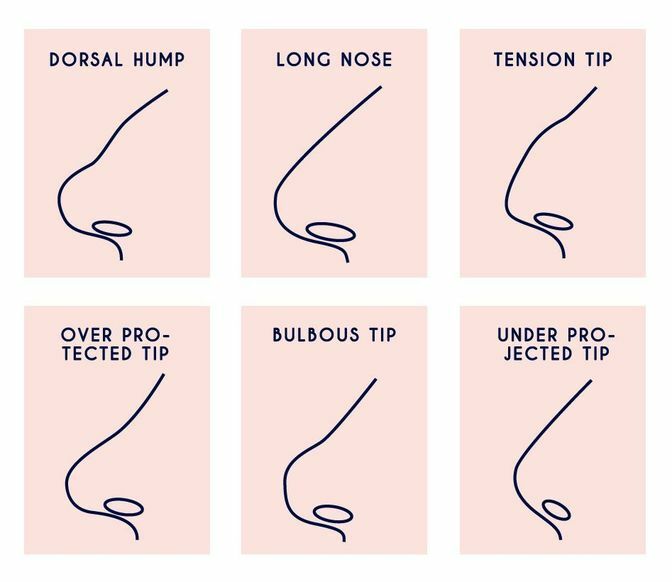 Regardless of whether the procedure is medically necessary or because you want to improve the appearance of your nose, Dr. Hardy can ensure that all our rhinoplasty patients leave with an aesthetically pleasing profile. What Conditions Can Rhinoplasty Address? Prior to treatment, you will meet with Dr. Hardy for an initial consultation. At this time, you can discuss your concerns with him and ask any questions you may have. He will review your medical history in detail and conduct a thorough examination of your nose. This can help him determine whether rhinoplasty is right for you. If so, he can outline the potential outcomes you can expect from surgery. If you would like to achieve a more dramatic transformation, you can discuss with Dr. Hardy the possibility of combining rhinoplasty with other facial cosmetic surgery procedures. Your rhinoplasty could take as little as one hour or up to four hours, depending on the type of rhinoplasty being performed and the techniques Dr. Hardy may use. Depending on the extent of work needed, you may be placed under general anesthesia or intravenous (IV) sedation. Once you are completely comfortable, Dr. Hardy will create small incisions hidden either in the nostrils or on the columella. He can lift the skin away to access the bone and cartilage underneath. He can then add or remove bone, cartilage, and other tissues to create the desired shape and size. Once he has accomplished this, Dr. Hardy will put the skin back in place and close the incisions. Recovery usually takes several weeks and the results are not immediately apparent. You will have bruising and swelling that may last a few weeks. Over the course of several weeks and months, the swelling will diminish, revealing your results. Dr. Hardy provides customized care and attention for each and every one of his patients to ensure the most outstanding results. If you think you could benefit from a rhinoplasty, call our office at (406) 728-3811 or contact Northwest Plastic Surgery Associates online today to schedule a consultation.